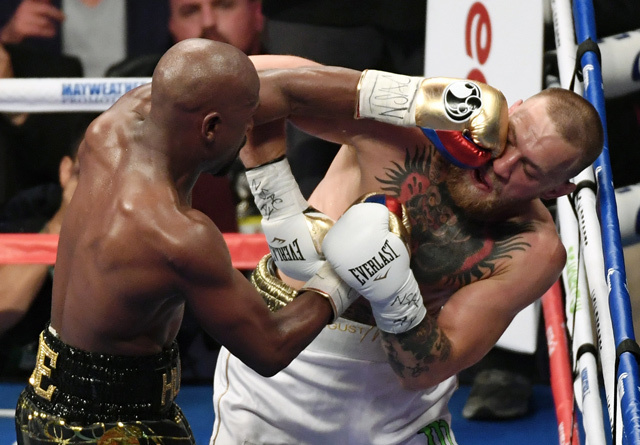 Floyd Mayweather insisted he would head into a permanent retirement after sealing his place in boxing history with a 50th straight win against Conor McGregor on Saturday. 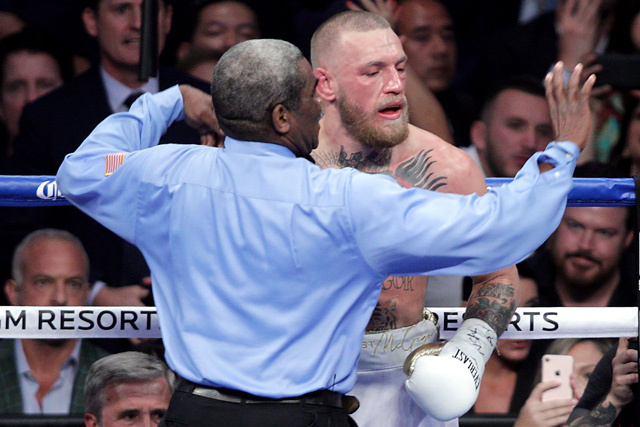 The 40-year-old American boxer outclassed McGregor over 10 absorbing rounds at the T-Mobile Arena to defeat Irish mixed martial arts by technical knockout. 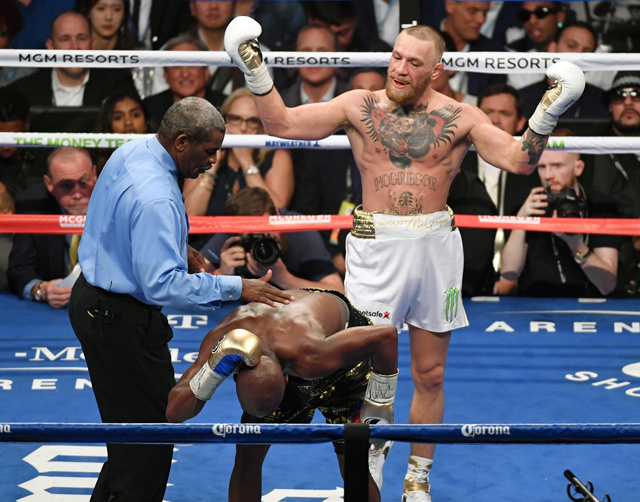 The win sees Mayweather, who had come out of a two-year retirement to face McGregor, surpass heavyweight legend Rocky Marciano with a perfect record of 50-0. Afterward former welterweight king Mayweather insisted he would never be seen in a ring again. "This was my last fight tonight. For sure," Mayweather said, praising his beaten opponent. "Tonight was my last fight. Tonight I chose the right dance partner to dance with. "Conor you are a hell of a champion." Mayweather also rejected suggestions that his 50th victory - against an opponent who had never boxed professionally before - would be destined to have an asterisk against it. "A win is a win, no matter how you get it," Mayweather said. "Rocky Marciano is a legend and I look forward to going into the Hall of Fame one day." 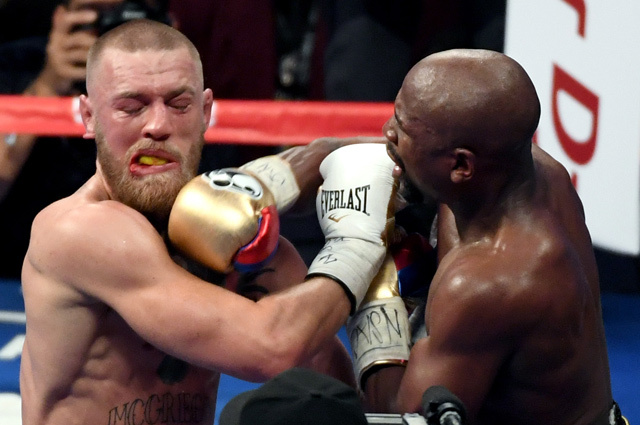 "Our game plan was to take our time, go to him, let him shoot his shots early and then take him out down the stretch," Mayweather said. "We know in MMA he fights for 25 minutes. After 25 minutes, he started to slow down. I guaranteed to everybody that this wouldn't go the distance." 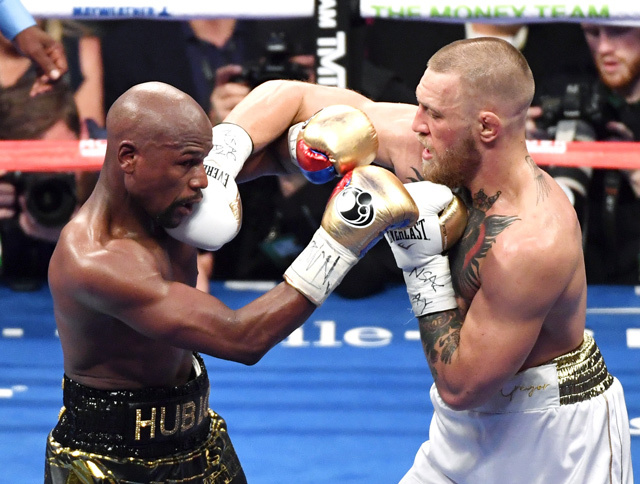 Mayweather also said he had felt obliged to "put on a show" after being accused of contributing to an underwhelming spectacle in his 2015 "Fight of the Century" against Manny Pacquiao. On that occasion Mayweather was accused of being overly cautious, cagily keeping Pacquiao at arm's length en route to a comfortable win. "I could have made it boring. I didn't want to do that," Mayweather said. "I felt like I owed the fans a last hurrah. So I went out there and that was the game plan. I wanted to go out with a bang." 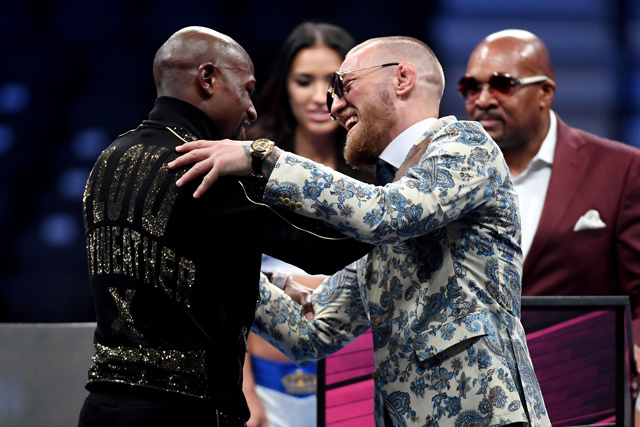 Mayweather insisted that his legacy as one of boxing greats would remain intact following his controversial meeting with McGregor, which had been panned by many in boxing. 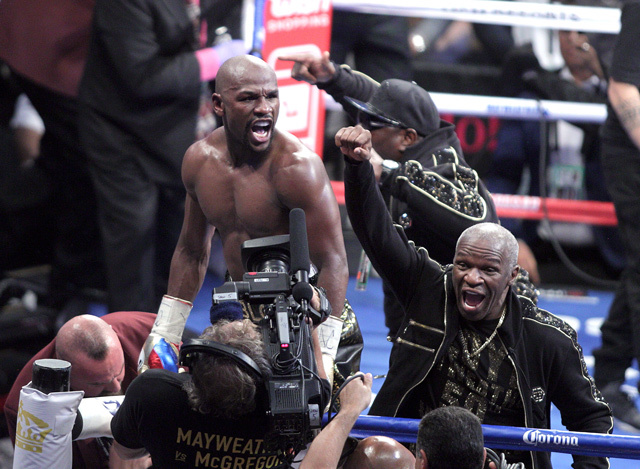 "After 21 years, I've had some great fights, I had boring fights," Mayweather said. "But at the end of the day I'll be remembered as a winner. "I know how to dissect my opponent, break them down and stick to the game plan." Asked if there was any chance he may yet return to the ring, he replied: "You won't see me getting in the ring no more. So any guy calling me out - forget it." However he hinted that a gargantuan payday could yet make him think twice. 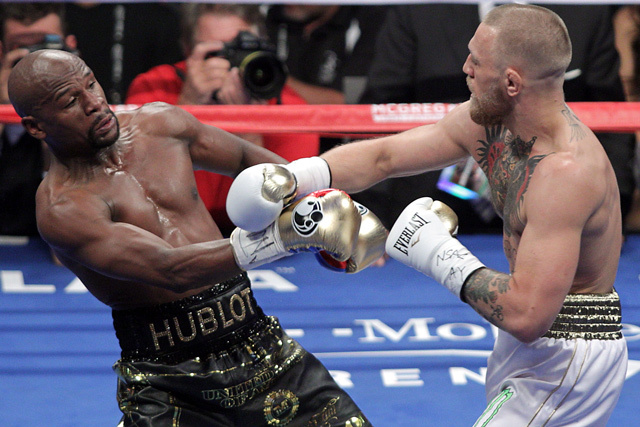 Mayweather is expected to earn around $200 million for Saturday's performance. "We do foolish things sometimes but I'm not a damn fool," Mayweather said when asked what had tempted him to face McGregor. "So if I see an opportunity to make $300-350 million in 36 minutes - why not?"